So far there have been several good horror movies for the year 2016. 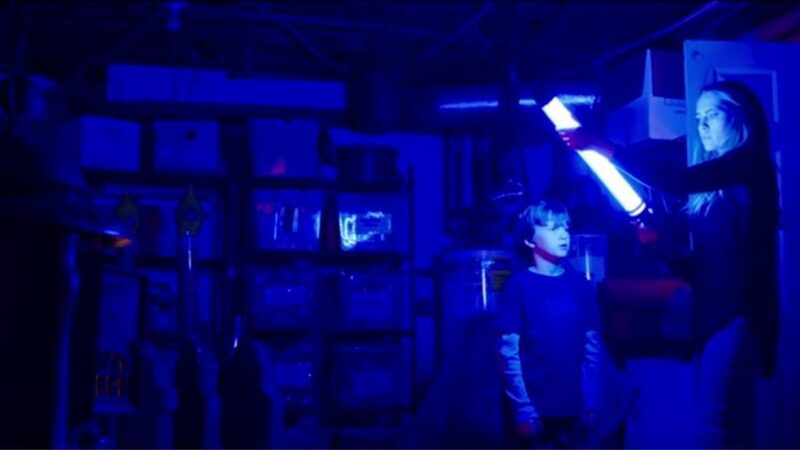 Next up on the list is ‘Lights Out‘ from first time feature film director David F. Sandberg. This is one of those movies that was actually a short film that was then made into a feature film, which is always fun to see the differences. 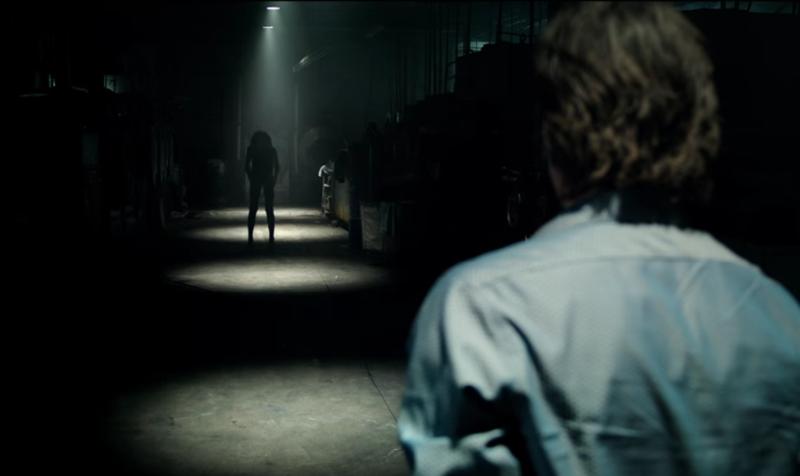 ‘Lights Out‘ conjures up some decent scares and even made me sleep with the light on. The ghost/creature in the film is haunting and should cause you to think twice when you walk down the dark hallway, however, the film just relies on one single genre trope throughout the whole film, which is walking slowly in dark rooms, inspecting the surroundings only to have a hand or something jump out and scare you. It’s effective, but gets old fairly fast. Still, for this first time filmmaker, he uses his camera well to notch up the suspense and tension throughout with the use of lighting or lack thereof, and keeping the shots tight and quick. The film centers on a dysfunctional family where a recently widowed mother named Sophie (Maria Bello) is starting to lose her mind again and manifests an evil spirit named Diana, who can only be seen in the dark. Sophie’s kids try to talk some sense into her, but nothing seems to work out and things just spiral downwards quickly as the movie goes on. There is a decent backstory to everything, but the best moments of this story are never followed through on. Instead, it’s just replaced with more scenes of opening creaky doors in the dark and walking slowly through hallways looking for Diana. I wish the filmmakers explored more of the backstory and had more than just one trick up their sleeve here, because that would have made this horror film one of the best in recent memory. Unfortunately, that’s not the case here. Don’t get me wrong, there are a bunch of good moments throughout the film, as well as some smart characters, and decent scares that you’ll think of later while in the dark, but it never crosses over that horror hump into something memorable. This entry was posted on Thursday, July 21st, 2016 at 8:47 am	and is filed under Film, News. You can follow any responses to this entry through the RSS 2.0 feed. You can skip to the end and leave a response. Pinging is currently not allowed. « Kirsten Dunst To Direct Dakota Fanning In ‘The Bell Jar’!! !